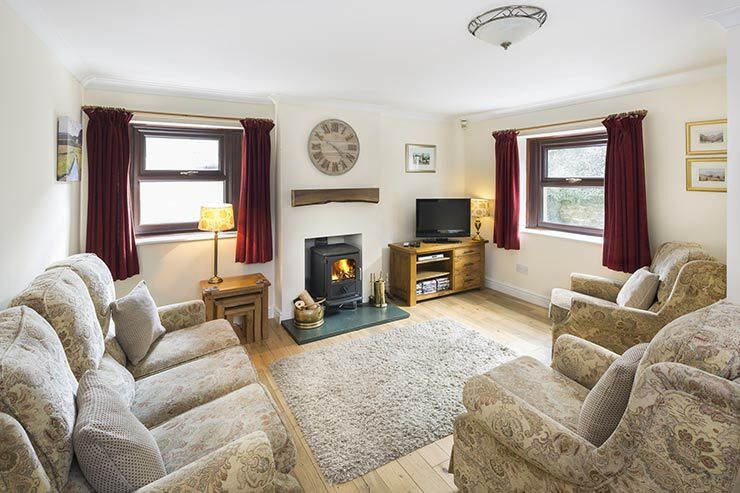 Dog Friendly Holiday Cottage with wood burning stove in Caldbeck with views over open countryside from the rear. Sleeps 6. Ellwood House is located in Upton on the edge of Caldbeck village. Heading to Ireby, keep left past the Oddfellows Arms and go up the hill. Turn left at the school and we are 100 yards on the left. Ellwood House holiday cottage is a splendid dog friendly holiday cottage on the edge of Caldbeck village in the Northern Fells of the Lake District National Park. 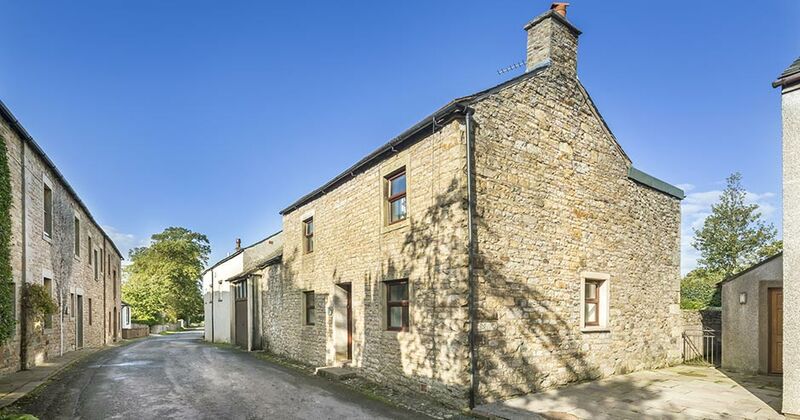 Located in an elevated position, with views of High Pike, due south of the cottage in the picturesque expanse known colloquially as "back o'Skiddaw". We're within walking distance of the village pub and local shops and cafés and easy access to the fells. 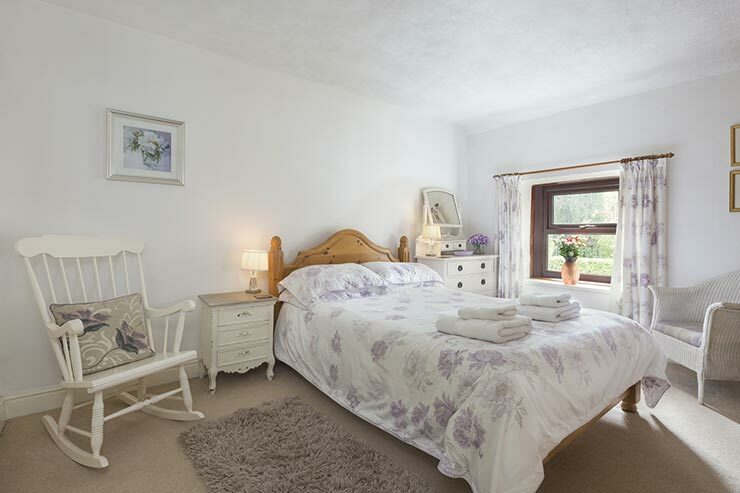 A lovely peaceful location for a relaxing holiday in the Lake District with family or friends. 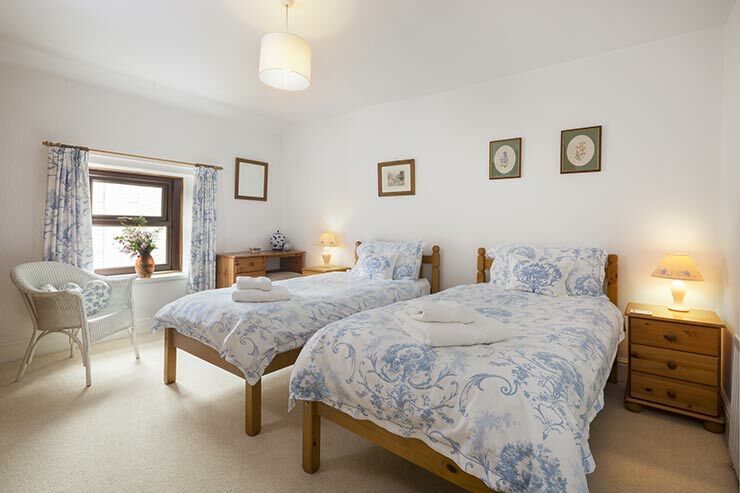 Bedrooms for up to 6 people - one king-size and two twin rooms. House bathroom. 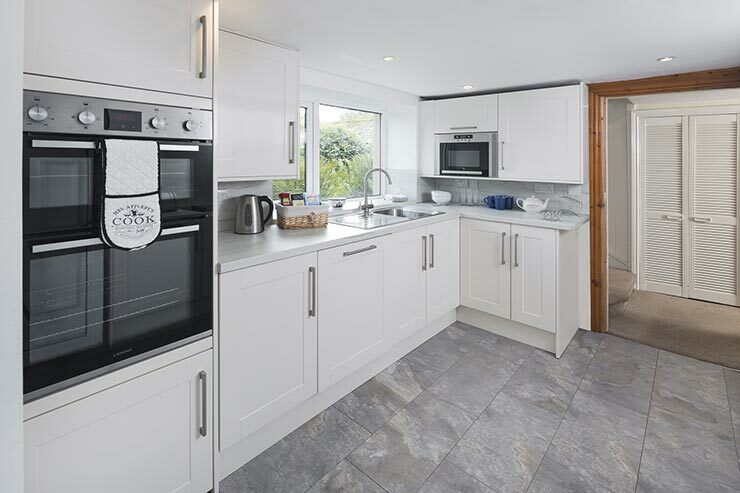 Recently refurbished kitchen with all modern facilities including built-in electric double oven, built-in microwave, dishwasher, ceramic hob, all in a "shaker" style farmhouse kitchen. PLEASE NOTE: WE DO ALLOW DOGS at Ellwood House. Opening times: Ellwood House is available all year including Christmas & New Year. 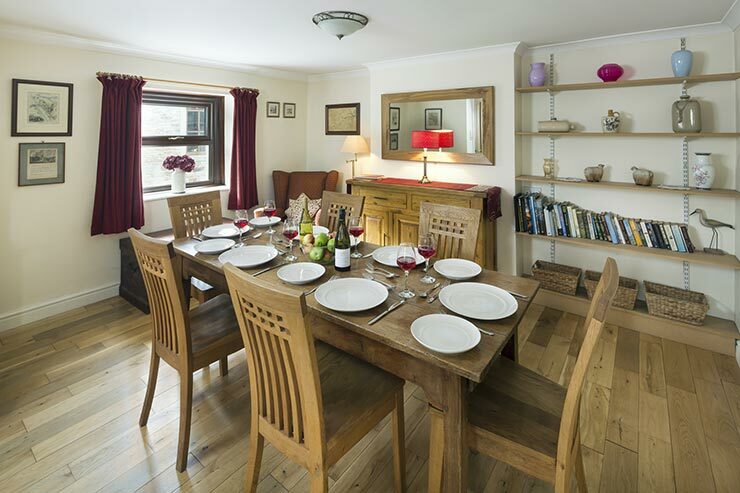 Dining Room/Lounge: With wood burning stove, flat-screen TV, DVD with DVD's, FREE Wi-Fi internet access, wood flooring. Oak dining furniture and sideboard. Three seater sofa and 2 easy chairs. Kitchen: Recently refurbished. Fitted with built-in electric double oven, ceramic hob, fridge, and microwave and dishwasher. Utility Room: Large utility area in converted barn with washer/dryer, freezer and space for storing walking gear, bikes, etc. Bedroom 1: King-size bedroom with large built-in wardrobe. Large chest of drawers and mirror. Bedroom 2: Twin bedroom with large built in wardrobe. Bedside drawers and dressing table. 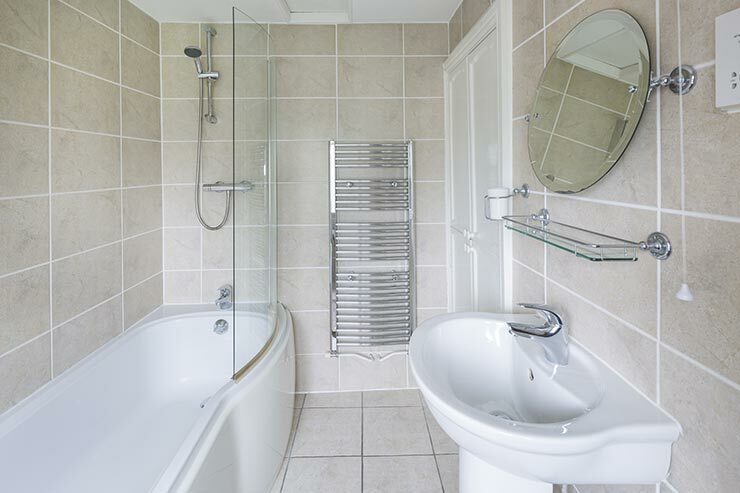 House Bathroom: With bath, power shower over bath, hand basin, heated towel rail, tiled flooring and WC. All bed linen, oil, electric and initial supply of logs provided. There is also a cot for young children. Attractive large spacious enclosed garden - lawn & patio overlooking open countryside. BBQ and patio furniture with parasol. Private parking for up to 6 cars. Please remember to mention the Caldbeck area website when you contact Ellwood House.